A brief State Department History can be read HERE and the entire video can be viewed HERE. West Germany was overwhelmed by the numbers. Who won the numbers game is evident by the fact that Angela Merkel is the Chancellor – and she was an East German who grew up under communism. Merkel is now overseeing the destruction of Germany and the rest of Europe by allowing and facilitating the invasion of hoards of Muslims from the Middle East and North Africa. Communism won. In the video about the 1990 Moscow Global Forum (Global Forum on Human Survival), the moderator attributes the idea for global forums comprised of spiritual and political leaders to Very Reverend James Parks Morton, Dean of the Cathedral of St. John the Devine in New York City. St. Johns is an Episcopal Church. The fact that Morton would be a promoter of these forums makes sense in this context. While researching refugee resettlement in Idaho, it was discovered that one of the contractors is affiliated with the Episcopal Migration Ministries and it was further discovered that they are part of the Anglican Communion which is headed by the Archbishop of Canterbury and the Anglican Communion is a UN NGO. The Episcopal Church is really the Church of England – with a new name taken after the revolutionary war because neither England nor their Church were very popular at the time. The imposing title of the conference was “Global Forum of Spiritual and Parliamentary Leaders on Human Survival.” But that name is brevity itself when set beside the litany of omnious threats which were presented to them by astrophysicist Carl Sagan, biologist James Lovelock, Soviet nuclear scientist Dr. Yevgeny Velikhov and other preeminent experts in population, media and education. Humankind has awakened to the terrible revelation that the earth and its tiny cargo of living things are vulnerable and, unless something is done soon, one day man himself, like 100 species disappearing each year, may become extinct. …Not since the Middle Ages had legislators and spiritual leaders met at such a level, and then it was limited to European statesmen and Christian leaders. 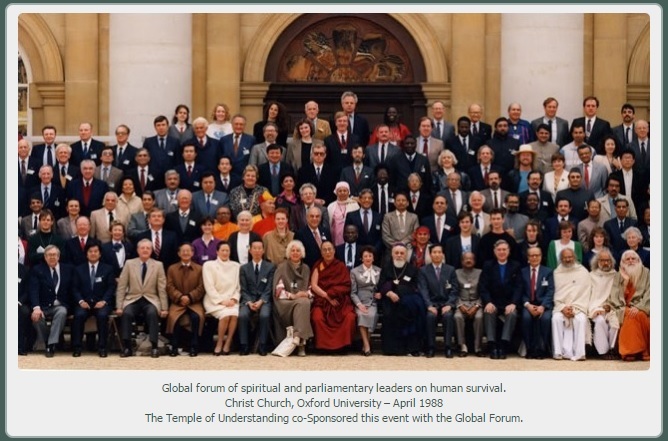 The 1988 Global Forum brought nearly 60 nations together, and had representatives of five major faiths – Hinduism, Buddhism, Christianity, Islam and Judaism, as well as African and American Indian religions, Jainism, Sikhism and Shinto. …Akio Matsumura, a Japanese population expert who spent 15 years promoting the forum, was patently pleased with the caliber of people who had responded to his call, “I have observed the deepening crisis of the world. It is too big to be borne by governments alone. We as individuals must also bear the responsibility.” Mr. Matsumura told Hinduism Today: “This is a process that will place great demands on Hinduism and on the insights it has mastered in its more than three mellennia of development. 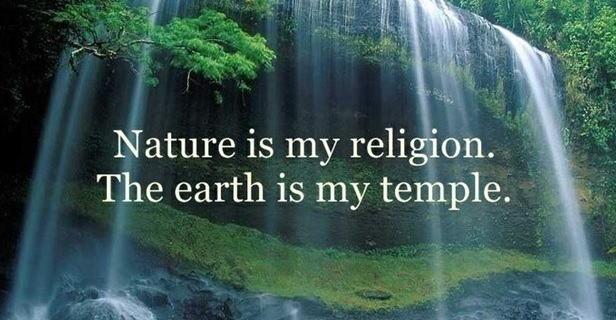 Hinduism is one of the world’s most powerful and enduring traditions. Hindus were among those who first called for a Global Forum on Human Survival. James Lovelock, English atmospheric biologist, offered an interpretation of the earth as a self-sustaining system, “much like a giant tree under whose broad canopy hundreds of creatures, large and small, are sustained…I believe science moved a long way in the wrong direction. We threw out the soul. I wonder if we have lost our natural curiosity because of sensory deprivation-all of us living in cities, unable to see the stars.” He went on to tell delegates that the greenhouse effect, forest clearing (“driven by an insatiable desire for beef) and agricultural excesses “are more important than nuclear problems we have heard.” Dr. Lovelock called himself the “shop steward for all non-human life, all the microbes and fungi” whose existence was also threatened. He offered simple solutions to what he called “the three deadly ‘C’s’: cars, cattle and chainsaws,” asking people to plant trees and to reduce beef consumption. The search on the first global forum at Oxford also turned up the huge connecting puzzle piece that explains a lot to this writer going back to the early 1960’s, the British invasion, the otherwise inexplicable Nehru jacket, I suspect Jim Jones and his People’s Temple and much, much more. The caption on this picture found on the Temple’s website indicates that they hosted the first global forum. The Temple of Understanding was founded in 1960 by a woman named Juliet Hollister. According to this article, she was a friend of Barbara Marx Hubbard and it was a conversation with Hubbard that gave her the idea for interfaith dialogue. Barbara Marx Hubbard was a futurist. She was a co-founder of the World Future Society and the Association for Global New Thought. On this webpage on Hubbard’s website, there is a video and what she calls the wheel of co-creation. The name of the page is Global Communication Hub – which of course means the Internet – global connections. The concepts she is conveying are New Age Newspeak but you can take those concepts and find concrete examples of the implementation in the education system, in government funded internet systems, etc. On this webpage, she explains the wheel of cocreation in a more normal form. The participation of Gro Harlem Brundtland is obviously significant. She headed up the World Commission on Environment and Development producing the report, Our Common Future which was adopted by the United Nations. The report, known more commonly as the Brundtland Report may be read HERE. Notice the members of the Commission. The American on the Commission was William Ruckelshaus. Ruckelshaus was the first EPA Administrator and he was on Clinton’s President’s Council on Sustainable Development formed in 1993. Beginning in 1982, plans were crafted to draw religious leaders into the UN orbit on the environmental issue, using a series of UN-sponsored committees and meetings. A Global Forum of Spiritual and Parliamentary Leaders On Human Survival formed in 1988 was cosponsored by the Temple of Understanding and the above-mentioned UN Global Committee. The president of the Temple of Understanding (located at the Episcopal Cathedral of St. John the Divine, New York City) is the Very Reverend James Parks Morton, former Dean of the Cathedral and co-chair of the Council of the Global Forum of Spiritual and Parliamentary Leaders for Human Survival. This Global Forum held meetings at Oxford, England (1988) and in Moscow (1990). The principal speaker at Oxford, James Lovelock, a Fellow of the Lindisfarne Association (a New Age group headquartered at the Cathedral) had authored the book The Ages of Gaia. This may be taking a leap for some people – but to those people I say, catch up because we are in big trouble. 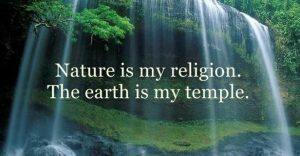 The United Nations has been transformed to a dangerous pantheist religious cult and they need to be shut down – defunded and kicked out of America NOW! 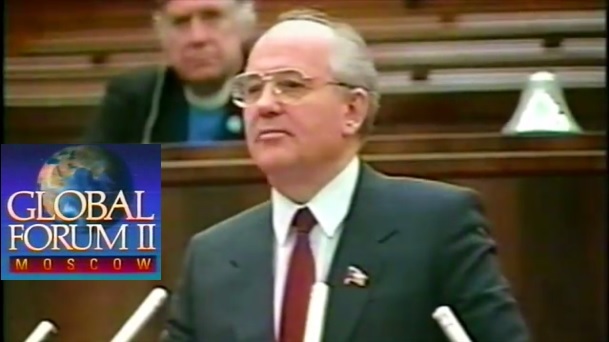 The network that the Twin Falls City Council is trying to join via the Welcoming America is linked to the religious agenda of population redistribution mentioned by Dr. Nafis Sadik in the video clip of the 1990 Moscow Forum. The groups that do the refugee resettlement are religious groups.